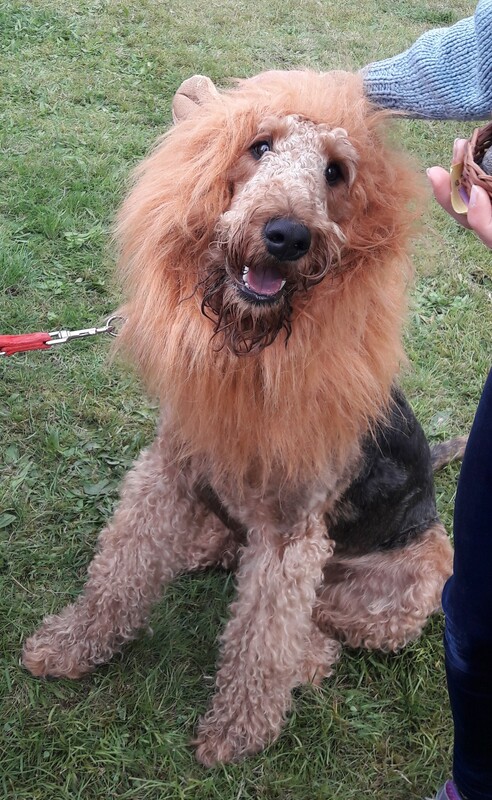 The sun shone all day for us at our summer fun day on Sunday 10th June at the Recreation Centre in Belbroughton, Worcestershire., and we were pleased to welcome around 40 club members with their Airedales. The day’s events began with a walk through to lovely Worcestershire countryside, with plenty of bowls of water provided for thirsty doggies on their return! After enjoying a picnic lunch and tea, coffee and cakes, we were ready for the rest of the afternoon’s activities. Club member and professional groomer Sophie Fury very kindly brought along her trimming table and was on hand to offer out members help and advice with all aspects of trimming and grooming – thank you Sophie! And last but by no means least, Waggiest Tail – Storm, owned by Mark Wilmott & Vicky Rodgers. 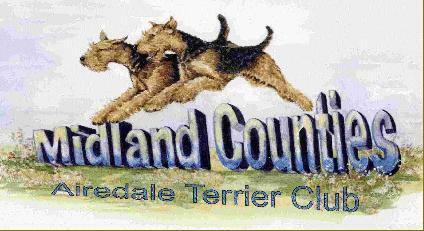 The pet classes were followed by Musical Sits, which was extremely difficult to judge as all of the dogs were so obedient! However the we were soon down to the final two dogs - Elsa with Linda Wickham and Parsley with Rebecca Ward, with Elsa just winning by a nose! We finished with an old favourite, the Mummy Game (aka the Toilet Roll game) which was won by the very patient and perfectly behaved Teddy, owned by Emma Sharpe, who at 12 years young dutifully stood still for two whole minutes whilst he was transformed into a ghostly white figure! Thank you as always to all of our members for coming along to support us, and also of course the hard working MCATC committee members for all their help to make it such an enjoyable and successful day. Photos to follow - we currently have a technical issue with our web software - apologies. 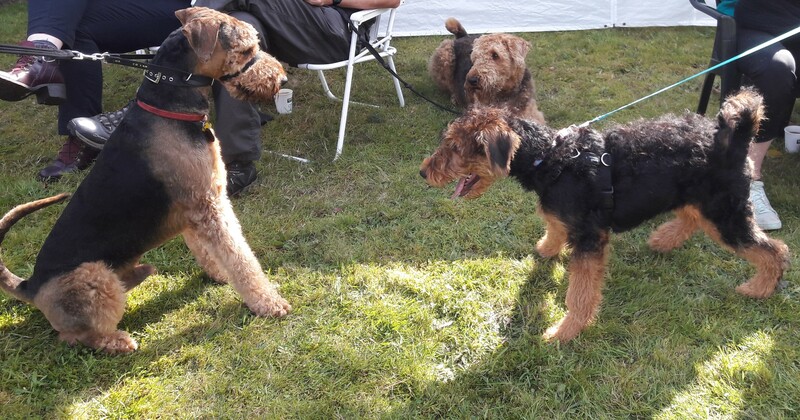 We were blessed with a dry and mostly sunny day for our BBQ which was held at The Coppins, Bewdley on Sunday 17th September, with around 40 members and their Airedales joining us. After a (thankfully not too muddy!) walk, we enjoyed delicious burgers, hot dogs and home made soup, followed by a selection of desserts and scones, cream & jam. This year’s quiz was a list of dog breeds in anagram form which certainly tested everyone’s grey matter! The winners were Dave & Hazel Herrin ably assisted by Daisy & Barney. 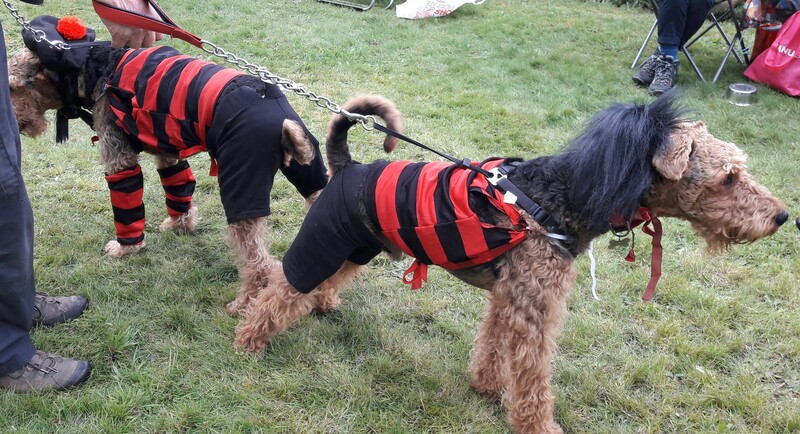 After the BBQ it was time for our fancy dress competition, and again this year’s entries did not disappoint! The winners by the very tiniest of margins were Dennis The Menace and Minnie The Minx aka Daisy & Barney Herrin, who having already won the quiz definitely on a winning streak! 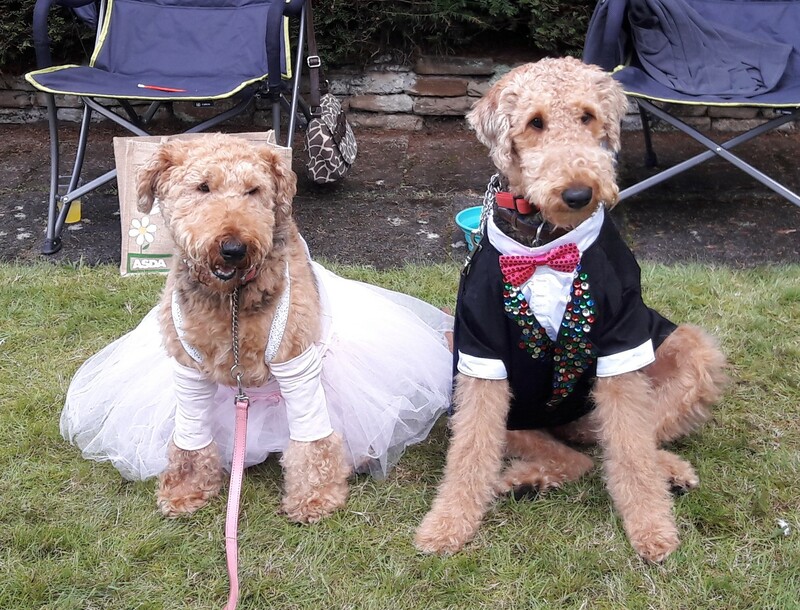 A very very close second were Annie & Teddy owned by Kim Hatton, as a Strictly Couple with fabulous sparkly outfits! And an honourable third but again it was a very close call – was the wonderful Parsley, owned by Rebecca Ward and Philip Hallam, who was of course a lion! Thank you to all our members for their support for the club and our events, and we hope you all had a great day. Below are some pictures from the day, including the fabulous fancy dress entries! Group photo - how fabulous do they all look!